A little too method! 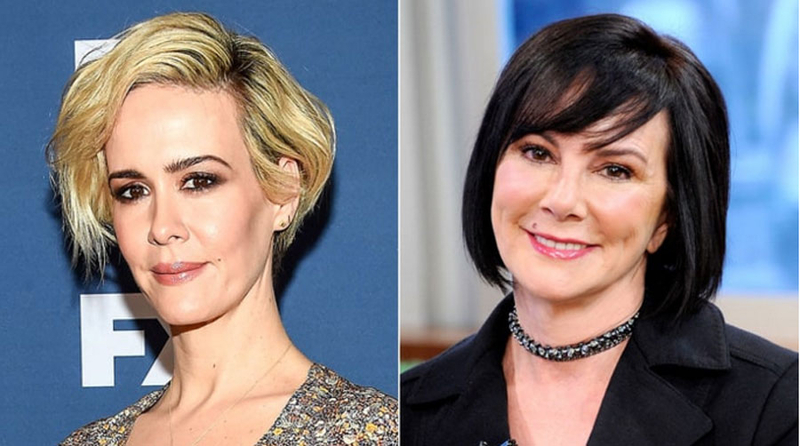 Sarah Paulson admitted to Stephen Colbert on Thursday, March 31, that playing the role of Marcia Clark in FX&apos;s anthology series The People v. O.J. Simpson: American Crime Story may have damaged her health. The 41-year-old actress revealed she was forced to really partake in Clark&apos;s very regular smoking habit. "I don&apos;t smoke at all in life," Paulson told the Late Show host. "How do you do that?" Colbert inquired. "I put it in my mouth and I inhale it," she deadpanned. "You can actually do that? You can get it into your lungs?" "I can," Paulson admitted. "When we first started I was coughing a lot, eventually I started to be like … I was ready for a smoke. I was like, &apos;Hey, hey!&apos; It got me a little crazy for the ciggies. I also smoke in American Horror Story and I was shooting them at the same time so it was a real situation." Paulson also admitted that prior to researching Clark for her role, she’d had some of the same negative preconceptions as the general public. But having spent time living in her shoes, she&apos;s come to realize that Clark&apos;s behavior was no different than that of most male attorneys. "She was considered to be a strident, really aggressive attorney," Paulson said. "If she was a man, these would be positive terms. No one would talk about his bad suit or his bad hair," she added.